The first photo is reflective lettering 400 x 100mm This sign also available in non-reflective. 2nd photo is non reflective. 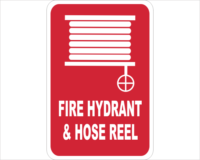 This Fire Hose Reel sign has reflective lettering which will reflect the smallest hint of light. The material is a full gloss 3mm red Aluminium composite Material. We also supply this sign in non-reflective lettering which works out cheaper. 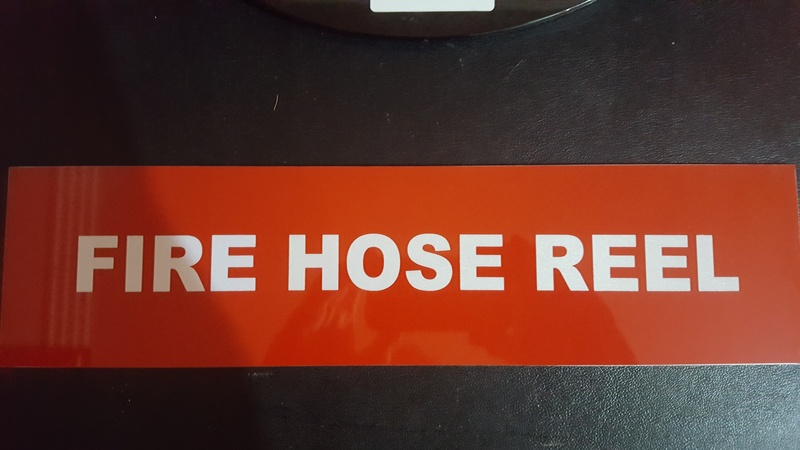 These signs are usually attached to a wall or door by double sided tape, Silicone or glue, but you can attach it with screws also. Customers can find this product in our online store: ( click here ) It is part of Architectural signage collection we have. Don’t forget, you can design and order any sign that you don’t see in our store.